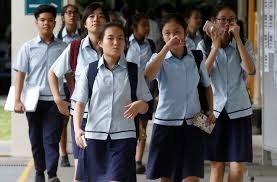 AKIPRESS.COM - The World Bank Group unveiled a new system on Thursday to rank countries based on their success in developing human capital, an effort to prod governments to invest more effectively in education and healthcare, Reuters reports. The bank’s “Human Capital Index,” showed poor African countries fared the worst in the rankings, with Chad and South Sudan taking the two lowest spots, while Singapore topped the list, followed by South Korea, Japan and Hong Kong. The rankings, based on health, education and survivability measures, assess the future productivity and earnings potential for citizens of 157 of the World Bank’s member nations, and ultimately those countries’ potential economic growth. World Bank Group President Jim Yong Kim said he hoped the new index would encourage governments to take steps aimed at moving up the rankings, much as they seek to with the bank’s popular “Doing Business” survey, which ranks countries based on ease of doing business, with low-tax, low regulation economies faring better.